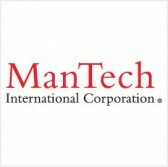 ManTech International has won a potential five-year, $32.1 million contract to provide advisory and assistance services for the Missile Defense Agency‘s counterintelligence programs. The Defense Department said Tuesday the company will support counterintelligence missions and functional areas covered by the DoD Directive 5240.02. ManTech will work to help MDA detect, identify, exploit and work to neutralize intelligence collection efforts against agency personnel, data, facilities, material, and activities, according to DoD. The company will perform technical, engineering, advisory and management support work for the agency at various facilities in Colorado, Virginia, Alabama, California and the National Capital Region through June 2021. MDA received four proposals for the contract and will obligate $1.6 million in fiscal 2016 research, development, test and evaluation funds at the time of award.